Here’s a reward for getting up real early Monday morning: a chance to see a bit of Bates streak into space. 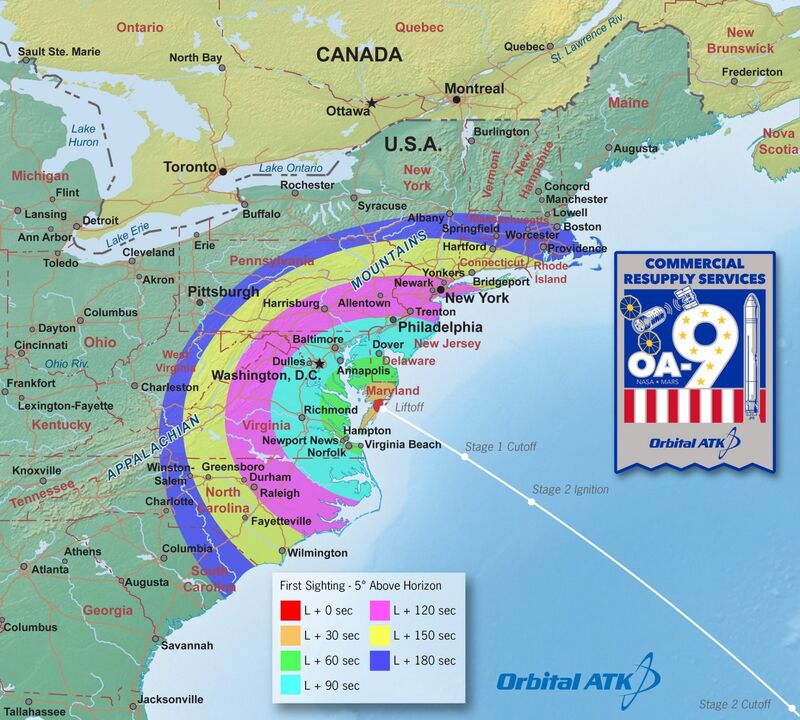 At 4:39 a.m. EDT, a cargo spacecraft takes off from NASA’s Wallops Flight Facility in Virginia. Its destination: the International Space Station. 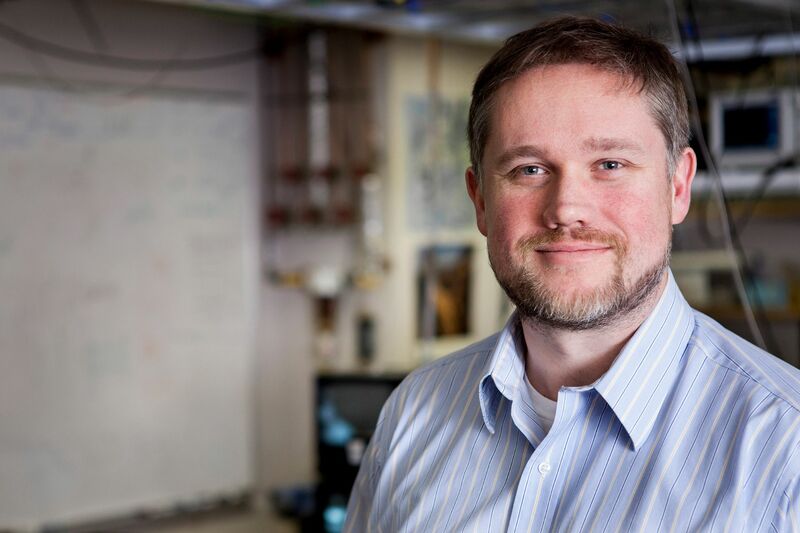 Its payload: a laboratory that will conduct an experiment in ultracold physics for Bates physicist Nathan Lundblad. Lundblad is one of the few scientists, and the only one from an undergraduate college, chosen to have his research conducted by the Cold Atom Lab in the CAL’s initial experiments aboard the space station. Nature magazine calls the lab a “playground in space” for quantum physicists like Lundblad. Even hundreds of miles from the launch site, the rocket might be visible on the horizon. 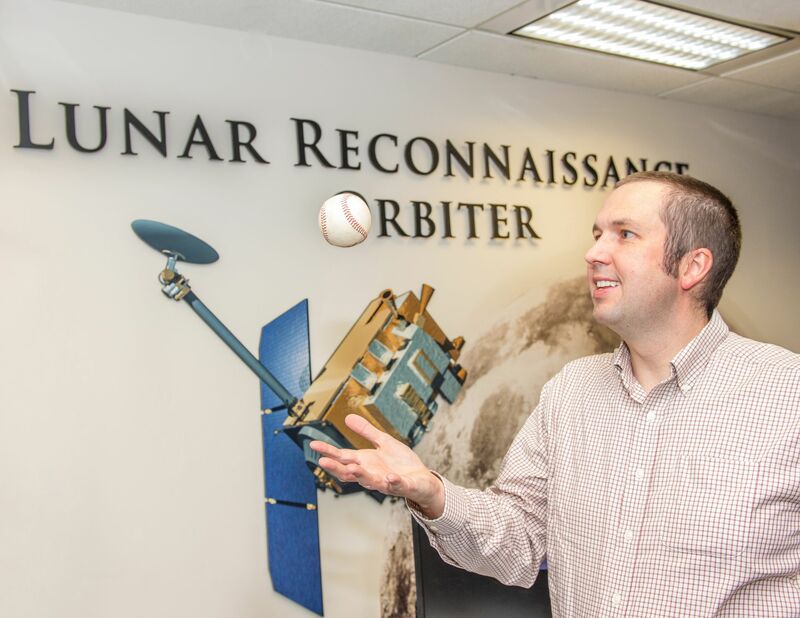 “Check the southern skies about three minutes after launch, about five degrees above the horizon,” says Noah Petro ’01, the NASA project scientist for the Lunar Reconnaissance Orbiter mission, now orbiting the Moon. What: Launch of the Orbital ATK Antares cargo spacecraft — with Bates aboard! The Mission: Officially known as Orbital Sciences CRS Flight 9E, or OA-9 for short, the mission carries the new Cold Atom Laboratory and other equipment and supplies to the International Space Station and the six astronauts currently orbiting the Earth. How to Watch: The launch will be televised by NASA TV. The flight facility also offers a public viewing area. In Alexandria, Va., Petro will get up very early on Monday, not only because he’s professionally interested (and not only because he and his wife, Jennifer Giblin ’01, have two early-rising young children). He’s proud of the Bates-into-space launch, he says, because it reaffirms what he and others at NASA know well. “We Batesies — all of us liberal arts grads — do really great science,” Petro says, noting that a liberal arts graduate just down the hall trains the astronauts now aboard the ISS. Here are seven things to know about Lundblad’s research aboard the space station. 1. Once it’s plugged in, the Cold Atom Lab will be the coldest known environment in the universe. As its name suggests, the lab will be very, very cold — one ten-billionth of a degree above absolute zero. Physics major Dan Paseltiner ’16, one of Nathan Lundblad’s former thesis students, narrates this short film about the Bates experiment that will be aboard the Cold Atom Laboratory. 2. The lab will operate only when the astronauts are asleep. Once the CAL reaches the ISS, the astronauts will hook it up. After that, it’s mostly hands-off, partially because the astronauts’ day-to-day movements actually move the space station itself, disturbing the stillness the lab needs to work properly. 3. Cold Atom Lab experiments take turns. 4. Lundblad will study a form of matter that can’t exist on Earth. Lundblad works with Bose-Einstein condensates. BECs are ultracold clouds of gas whose atoms lose their individual characteristics and behave more like a unified wave. He can study them in pretty cold environments on campus, but without gravity he can go even colder. “I’m interested in studying how the rules of quantum mechanics apply to a BEC based on its shape, and certain shapes are really tough to make in gravity,” he said in 2014. 5. When gravity goes away, other forces come to the fore. In designing his Cold Atom Lab experiments, Lundblad had to take into account the magnetic field of the lab itself. That, for him, is a first. 6. Lundblad will work remotely. 7. Bates students will be involved.